I know I am nowhere close to Promise Phan's amazing make-up skills, but cannot help but grab inspiration from her Halloween tutorials every year. I have done some variations of her costumes for the past 2 years, and cannot wait to see what else she has this year. I absolutely love Halloween, but am deathly afraid of everything scary... Odd right? I guess I love the creativity that oozes out of people and the make-up we get to play with! As a kid, I always got the store bought costume, and finally started becoming more creative in recent years. From 2009-2011, I lived abroad and was able to experience (or lack thereof) Halloween in London, China, and S. Korea. 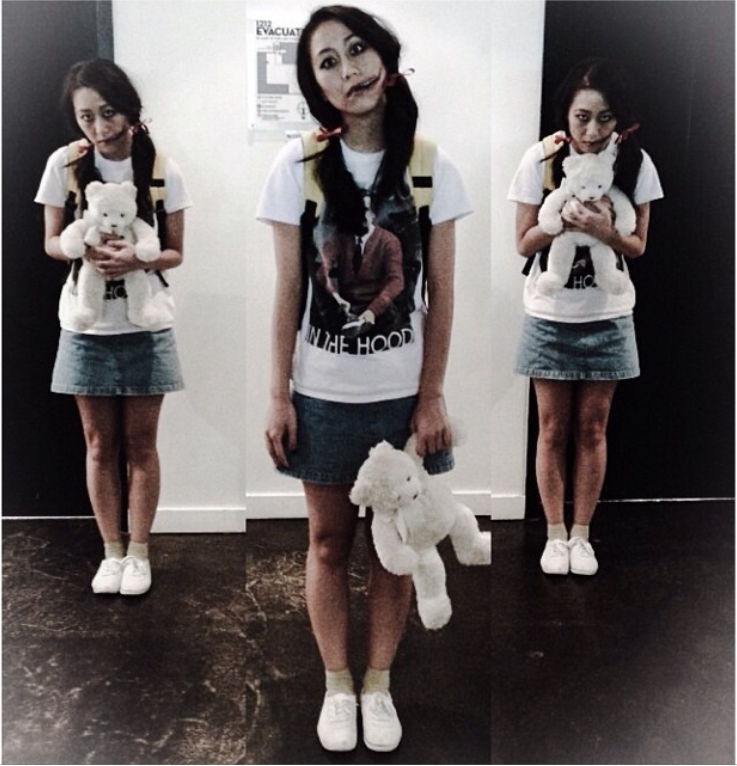 Besides London (sort of), the Halloween spirit was not apparent or celebrated. Since being back in the states, Halloween has been a major adrenaline rush for me. I have some ideas, so hopefully I can really pull it off. 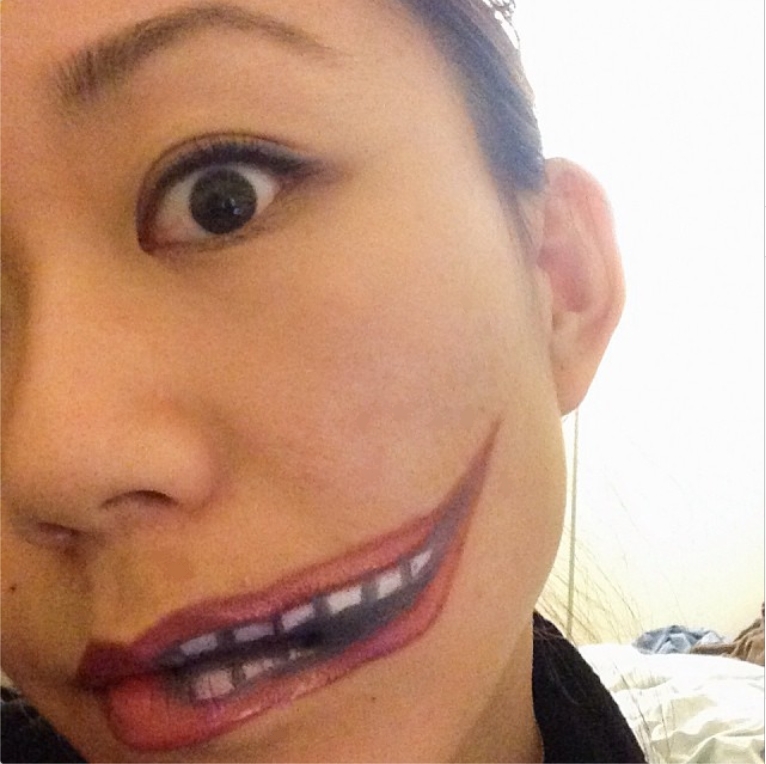 There has been a recent obsession with more cinema type make-up for my Halloween costumes. Make-up is endless and all the creativity that comes with it is so jaw dropping! I cannot wait to whip something up and continue learning more about costume make-up for future years to come. Stay tuned for my Halloween outfit - which I am still very uncertain of at the moment... EEP! Click HERE for last year's Halloween post. Demonic stretched mouth for Halloween 2013. 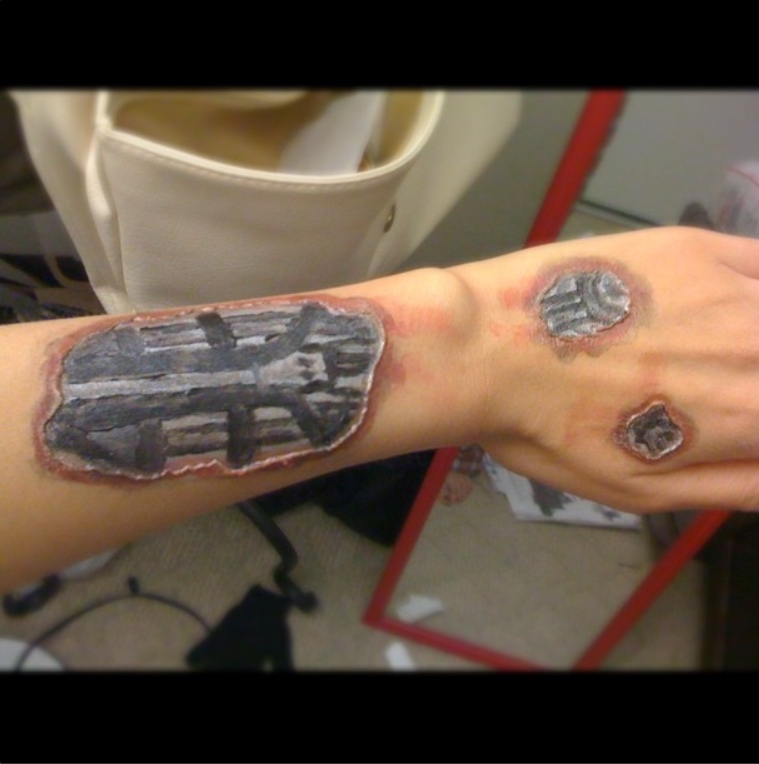 My first try at a cyborg/terminator costume effect in 2012.